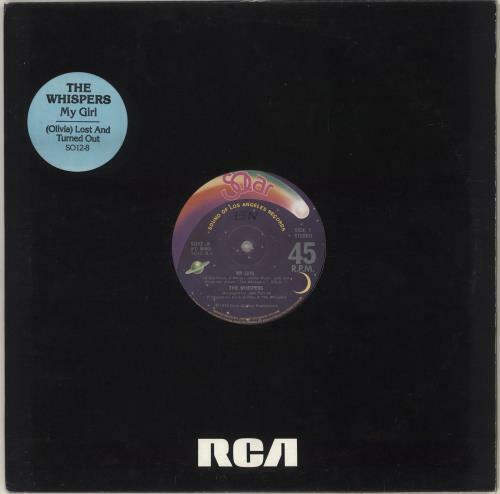 THE WHISPERS My Girl (1979 UK 2-track 12" vinyl single, includes [Olivia] Lost & Turned Out, title-stickered RCA company die-cut sleeve. The label has an initial annotation and the vinyl has just the odd light sign of play SO12-8). or visit our The Whispers image gallery.